Photo of: Midlands of Ireland: Tipperary: Balina. 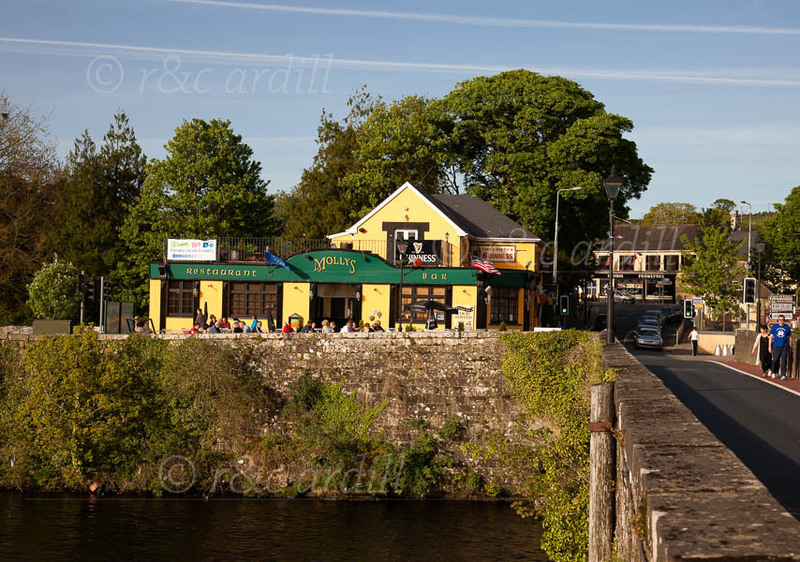 A view of the Killaloe-Balina bridge and of Molly's Bar in the pretty village of Balina, on the Shannon, south of Lough Derg. Thsi photograph was taken on a find Easter weekend and happy holiday-makers can be seen enjoying a drink on the terrace by the River Shannon.